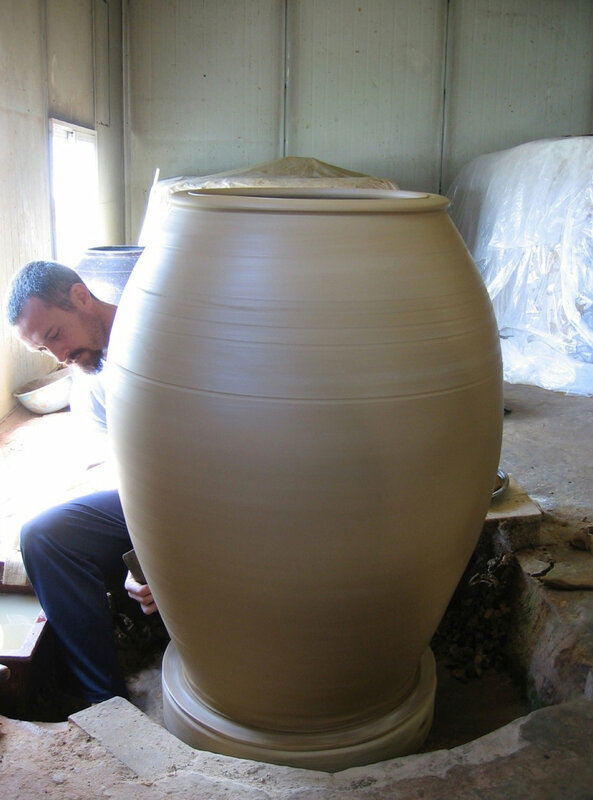 Join Adam Field in a one-day workshop and witness demonstrations of traditional Korean coil and paddle techniques used for making massive Onggi jars. Adam will share photos and videos of his 10-month Onggi apprenticeship from his time studying with Onggi master Kim Ill Maan and his family in Korea. He will speak about the history of Onggi and its important role as an anchor in Korea’s ancient traditions, and it’s place in contemporary ceramics. Born and raised in Colorado, Adam earned his BA in art from Fort Lewis College. For two years, he immersed himself in the culturally rich art scene of the San Francisco Bay Area, where he began his full time studio practice. From there, he relocated to Maui, where he established a thriving studio business. He spent most of 2008 in Icheon, South Korea, studying traditional Korean pottery making techniques under 6th generation Onggi master Kim Ill Maan. In 2013 he cre- ated and premiered HIDE-N-SEEKAH at the NCECA conference in Houston, TX. After maintaining his studio in Durango, CO for 5 years, Adam moved to Helena, MT in 2013 where he was a long-term resident artist at the Archie Bray Founda- tion for Ceramic Arts. Adam is now a full time studio potter in Helena, MT. His Works are included in private collections and kitchen cabinets internationally.